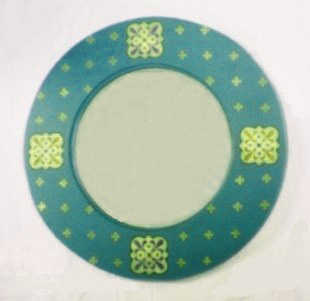 This mirror design uses Burges motifs to create a striking colourful Gothic mirror frame. 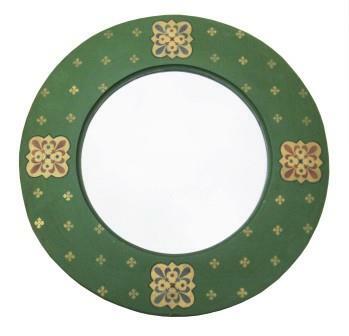 The original design above was painted in more Wm Morris style colouring, the base was a Morris green with gold/colour designs & 'diaper' patterns. Supplied with bevelled mirror glass, a standard Burges feature. Size 55.5cm. Made to order. We have shown some colour variations below.